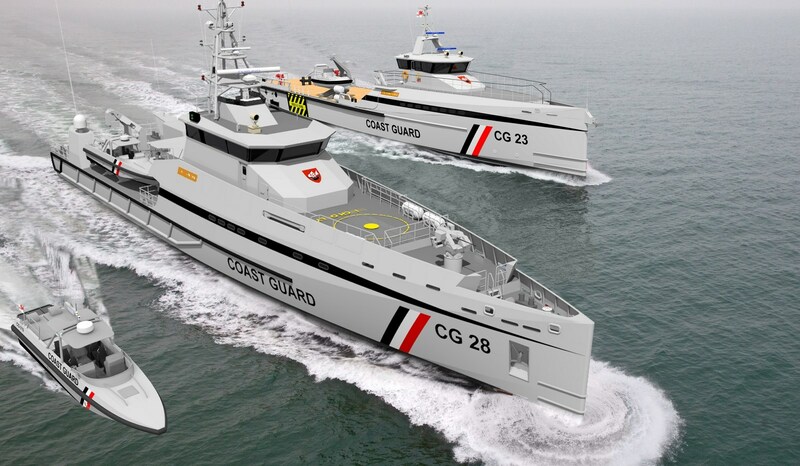 Following a 4-year acquisition programme, the Government of Trinidad and Tobago has agreed to purchase twelve vessels for the Trinidad and Tobago Defence Force from Damen Shipyards. 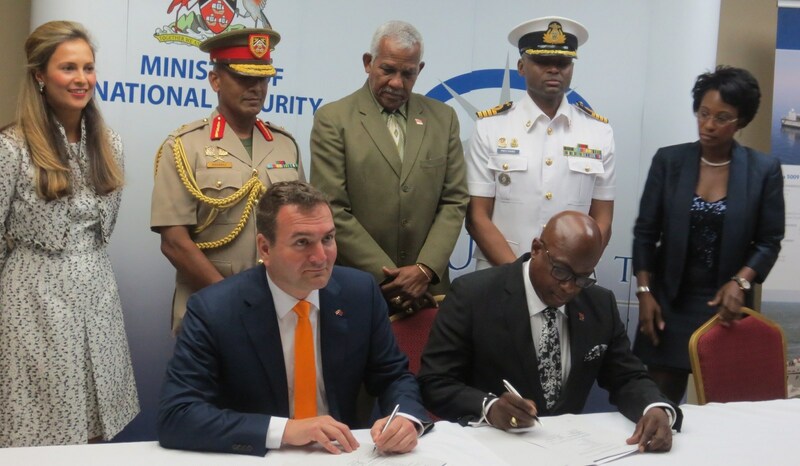 The Signing Ceremony, which took place at the Ministry of National Security, Temple Court 1 Building, was attended by Permanent Secretary Carl A. Francis on behalf of the Ministry of National Security and Damen Sales Director Americas Sander van Oord. 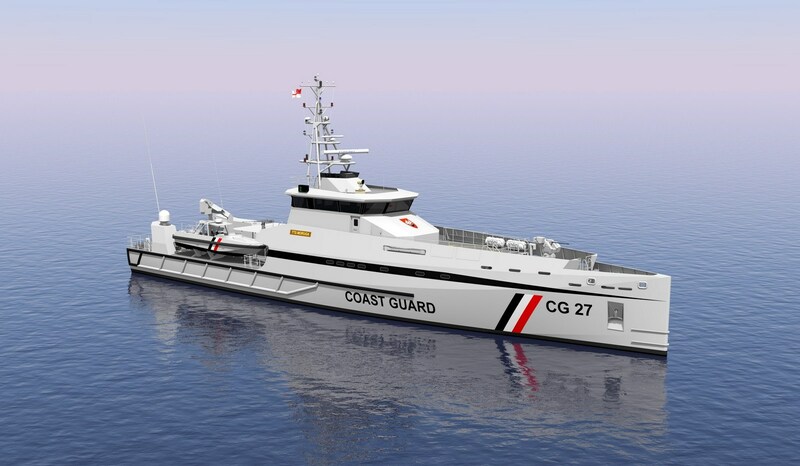 Trinidad and Tobago has ordered a complete package of vessels with the aim of enhancing the country’s maritime security and of establishing the foundations of a Maritime Security Wall; thereby creating and sustaining an effective presence in all tiers of Trinidad and Tobago’s maritime domain. Since 1927, Damen has built a significant number of high quality vessels for civil and military purposes. 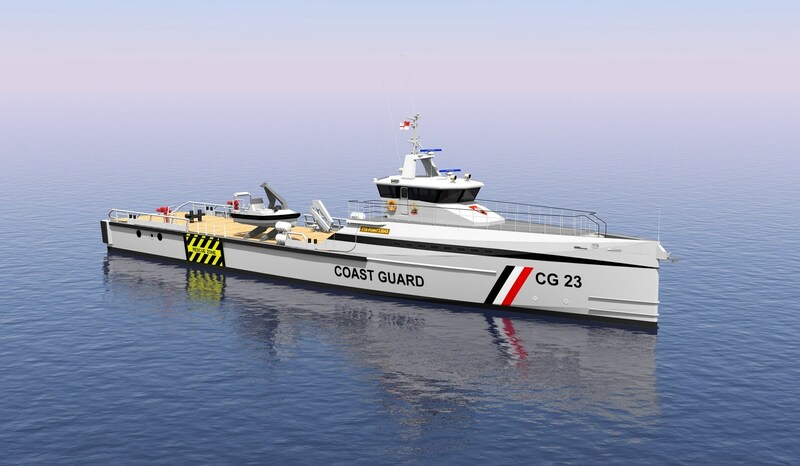 Such vessels are in service with the Coast Guards of the United States, Canada, Mexico, Bahamas, Jamaica, Barbados and the Netherlands among others.